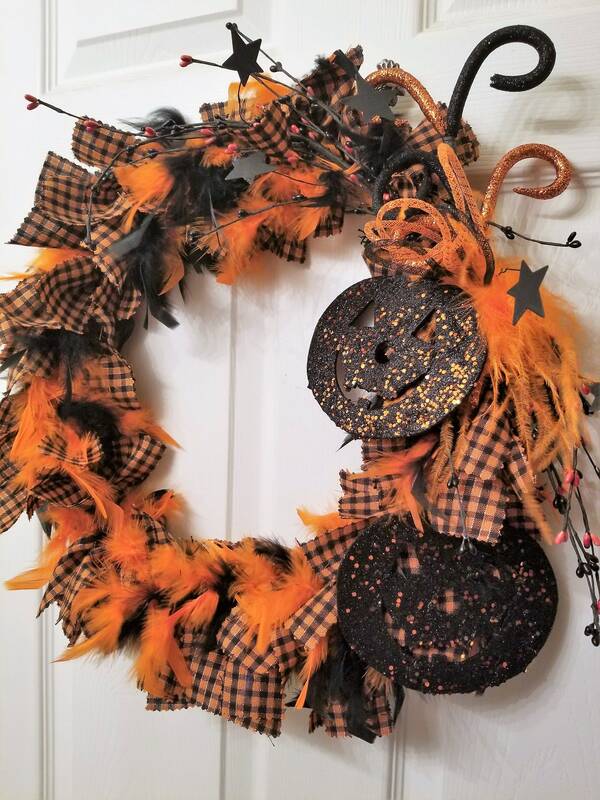 This wreath says its time for Halloween fun! Orange fabric with gray and black jack-o’-lanterns is combined with orange and black feathers. A pick with orange and black glittered smiling jack-o’-lanterns suggests they are happy it’s Halloween. 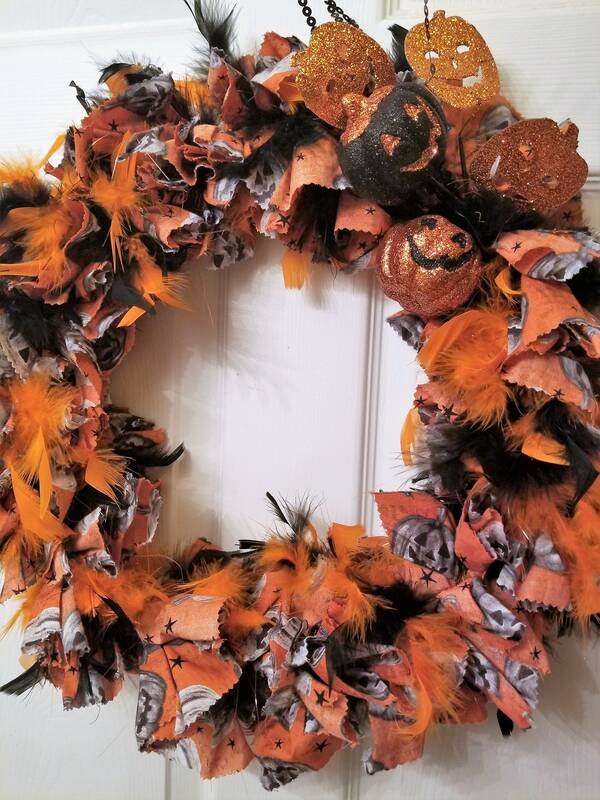 This Halloween wreath brings country charm and elegance together! Country check fabric in orange and black that is woven with a sparkling sheen is combined with orange and black feathers. Adorning this wreath are sprays of orange and black pip berries with black stars, a black and orange glittered swirled pick with a black feather puff and two wooden orange glittered black jack-o’-lanterns.